Patents, for a long while, have been an integral part of business development strategy. Companies like ARM and Qualcomm have built their business around patents which constitute a major part of their revenue. And the quality of their patents, for sure, is playing a key role in it. Lowballing on patent quality has its own risks. It does not only affect the direct income from royalties but can also affect the revenue from proprietary products. Patents by nature exclude others from using the protected invention. Therefore, products backed by strong patents have less likelihood of copycats appearing in the market, and even if it happens, the chances of recovery on the basis of patent infringement still holds. A poor quality patent or a patent with unnecessary limitations, on the other hand, can compromise this intent and impact the entire business. Thus, it becomes imperative to not ignore patent quality anymore. Before we ponder further into the subject, let’s be clear that the quality of a patent is different from that of an invention. Patent quality lies in the scope of claims, which, impacts the objective of getting a patent. One may seek a patent to just stop competitors from using the invention or for revenue generation through technology licensing. But, irrespective of the objective, quality remains a pivotal element. Let’s explore some ways which can help IP counsels get broad and good quality patents. Narrow claims, more often, gets a patent granted fast as the application undergoes lesser office actions compared to the one with broader claims. This approach, though, appears lucrative on the surface, however; comparatively, will become less rewarding in the future. While working with IP counsels, I came across many patents which assignees weren’t able to enforce due to that unnecessary element in an independent claim which could have been shifted to dependent claims easily. 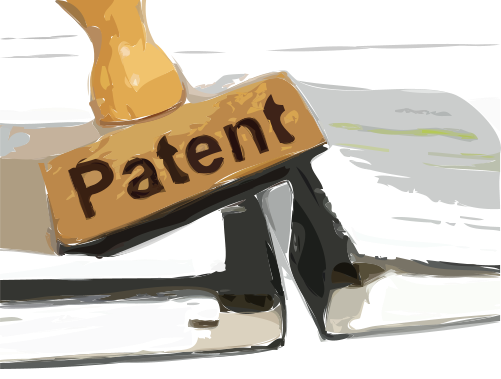 Given that huge investments were made for building a patent portfolio, such handicapped patents beset an IP counsel working on its monetization, as these patents flunk when put into use. Hence, it becomes mandatory to judge broadness of claims to get a strong patent that can keep competitors at bay and also fetch royalty. A small change can bring many products under the scope of the patent. One can imagine losing huge profits on the basis of narrow claims. Claims of a patent focusing only on the central idea of the invention, sooner or later become a dead load on business. It is because these patents ignore design around and later a competitor finds a way out to implement the invention in his products without infringing any of its claims. And there is no end of examples where a broad patent was unable to stop competitors to manufacture products on the patented concept. Thinking that a broad claim is all you need, is a fallacy. One also needs to ensure sufficiency of broadness which includes proper coverage of design around to strengthen the quality of a patent. Let’s consider design around as hacking into the invention concept. After all, one has to just somehow shunt out the ‘All Element Rule’ to pave the path to use the invention concept and avoid the risk of infringement. Difficult! – One may think. But, not an impossible task, though. If someone does that, the heavy investment made on the patenting activity will go in vain. For example, let’s use the same clause to illustrate design around that I used earlier. If the applicant moves ahead with the above-mentioned clause, other companies may use the invention by making some minor changes in their product. A competitor, for example, may use the invention by adding a third device. A good quality patent encompasses the proper scope of an invention, that is, it should cover all existing as well as futuristic application areas. An invention normally becomes viable in many application areas depending on the deep correlation of technologies and also because of the ever-expanding inter-dependency model of technology. That said, one should never limit the invention only to the research areas mentioned by the inventor(s). There are many patented technologies that initially were supposed to be for a particular field but later found applications in a totally different field. Kodak, for example, filed patents in film development technology that was meant for cameras which later found applications in semiconductor chip manufacturing. I’ve explained in depth how you can drive multiple sub-ideas from the central idea of a patent. You can read it here: How to help your clients file more patents? Example – If an invention is related to GPS technology, one may consider GPS devices, maps in mobile phone and car navigation systems as common application areas for the invention. This is what an inventor may suggest. But is that all? No. A technology landscape would reveal that from a mobile phone a user can access the internet which offers online advertisement. Now if someone would have checked the technology relationship a decade ago, s/he would have got a hint about location based advertisement by connecting the dots from GPS to an online advertisement, which is very common these days. The intersection of the invention with other existing technology areas. The level of penetration into the existing technology areas. Hints about futuristic expansion for the invention. Not just that, a landscape analysis could also help you acquire new clients. Wonder how? We have discussed the same in this article – Dear Patent attorneys, Landscape analysis can help you acquire new clients! Based on the objective for the patent, the depth of prior art search may vary. If one intends to get a patent with the objective of offensive patent filing i.e. to sue others in future, it’s better to be thorough in the beginning then regret later when defenders invalidate the patent. Similarly, if a patent is just filed to help in technology exchange or to showcase IP strength to competitors and not as a litigation tool, a deep prior art search may not be required. One can rely on the examiner search alone. However, don’t forget that an examiner is also a human being and ‘human errors’ are possible under time constraint from his end, too. In many projects in the past, we found better results that an examiner and helped our clients invalidate concerned patents. One such account is narrated here: How we find better results than an examiner. Therefore, the decision to perform deep prior art search depends on one’s objective which further guides the decision to travel an extra mile to find what might have been missed by the examiner. Conclusion: These strategies, on the surface, appear obvious and more often than not, get ignored. Many IP counsels, however, are targeting broad and good quality patents and chances are that they are already using these to keep their clients one step ahead of the competition. This and multiple other strategies which enable them to not just meet their KPIs but excel at them, and the good news is, you too could have access to all these strategies. How? For starters, you could subscribe to our newsletter where we share strategy laden articles that could help you meet your KPIs and add some additional strategies to your little black book of patent strategy – Click here to Subscribe. Read Next: Explore more Patent Prosecution Strategy articles and create your own smart patent prosecution strategy using these tactics. Prototype or Patent: Which Should Come First?